On this show I will complete the series on back pain and start a new series on seasonal allergies. My guests for Saturday, June 26 on the Holistic Health Show are Dr Steven Y. Park (left), Lou Paradise (right), and Kathi Casey (lower right). 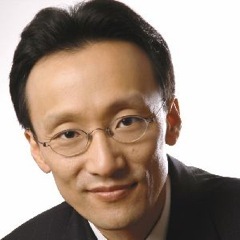 Dr Park is an otolaryngologist, surgeon, and author of the book Sleep, Interrupted: A Physician Reveals The # 1 Reason Why So Many of Us Are Sick and Tired His book has been endorsed by the New York Times best-selling authors Christina Northrup,M.D., Dean Orish, M.D., Mark Liponis, M.D., and Mary Shomon. Dr Park is a Clinical Assistant Professor of otolaryngologist at the New York Medical College. Mr Paradise is the Founder and Chief of Research of Topical Biomedics, a successful company producing natural solutions for pain management. Lou is a Marine Corp helicopter combat and rescue veteran serving two rotations in Viet Nahm. He is very modest about his combat service but his many decorations are for bravery in combat and rescue missions of wounded soldiers, and fellow Marines and for humanitarian rescues of Vietnamese civilians. During these missions he developed carpal tunnel syndrome that caused severe pain. Using his knowledge of homeopathy, natural medicine, physiology, herbal medicine, and other natural healing modalities he self experimented for relief of his pain. Herbal medicine did not work and homeopathic medicine did slightly. Using his intuitive ability he decided to combine some homeopathic medications and began to see improvement. He refined the product that is now Topricin that treats a wide range of ailments including arthritis, lower back pain, and carpal tunnel syndrome. Mr Paradise has a 25 year history of researching natural medicines, has developed pain management seminars for senior citizens, is considered an expert on rehabilitation and restorative medicine and has appeared as an expert on doctor hosted medical call in radio shows. He has been invited to participate on a committee that interfaces with both the FDA and FTC addressing the growing national interest in natural medicine. ***KATHI HAS A DVD TITLED GET RID OF SCIATICA PAIN FOR GOOD THE FIRST PERSON TO CONTACT ME AT THE END OF THE SHOW ON SATURDAY (12:55 PST/3:55 EST) WITH NAME AND ADDRESS WILL RECEIVE THE DVD. THEIR NAME WILL BE PUBLISHED IN THE NEXT MONTHLY ISSUE OF HEALTHY HOLISTIC AGING. GOOD LUCK.